As it has become an easy, comfortable and affordable procedure, more and more people decide to have a hair transplantation each passing day. No matter what the condition is, from balding scalps to receding frontal hairline, as long as you have chosen a reputable hair transplantation clinic you will have natural and satisfying results after the hair transplant. Can you get hair transplant from someone else? Is there a limit to how much hair I could transplant onto my head? Is hair transplant the only solution for hair loss? Does donor area hair grow back? So, as MCAN Health, a well-experienced hair transplant provider with the accreditation of Turkish Ministry of Health and multiple awards for our customer service, we would like to inform you about them. It is one of the most known false belief about hair transplantation. It is quite natural though, as the word “transplant” is also used for organ transplantation. So, people think that hair transplantation works like organ transplantation and you can take the hair from someone else to transplant. The difference is caused by an obvious fact that hair is not an organ but an extension that covers our bodies. Organs are the main parts of the body and identical to each other in their function. There may be some difference in their size for genders or for different body types, but they work in the same way for everyone. Hair is something else. It is a material that is supposed to cover specific parts of the body. Unlike the organs, they are quite different from each other. Ethnic, genetic and hormonal differences create big differences in the thickness, curliness, length and health for hair. For instance, Asian people mostly have thinner hair with low curliness while African people have high curliness and thickness. But it is not limited to ethical differences. Even two people from the same racial background have different kinds of hair due to genetics. Shortly, hair is not a material that may have identical quality for other people. If hair follicles were transplanted from someone else to you, you would not experience any growth and your scalp would reject the hair transplant. You must have seen that clinics advertising as Limitless Hair Transplant. It is not exactly true, but a click bait. 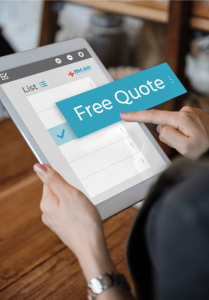 Generally, clinics in Europe and USA determine the cost of hair transplant by counting the number of grafts to be transplanted whereas the cost of hair transplant in Turkey comes with a fixed price that covers the maximum number of grafts. So, yes, in a way it is limitless by means of grafts. But, the number of operations is certainly limited by the capacity of the donor area. The donor area is the part of your scalp that is immune to hair loss. That’s why all hair transplantation operations (including eyebrow and beard transplantation) uses this area as the supply for transplantation. Once it is depleted, the chance of hair transplantation reduces greatly. Hair transplantation can be called as the most certain and natural hair loss treatment but not the only. Also, every kind of hair loss does not require hair transplantation as a solution. If the candidate is not young enough, it is better to wait and keep an eye on the hair loss. It may be a hair loss related to some other factors such as hormones, stress, depression, use of medicine or just seasonal. So, the hair loss may be temporary and regrowth may happen. As MCAN Health, it is a principle for us to prevent unnecessary hair transplant operations instead of operating anyone and harming their donor area which will be hardly used for a future hair transplant. This is also one of the widest known false beliefs. Hair transplantation is a method of hair, not creation or multiplication. During the hair transplant, the hair follicles on the donor area are taken for good. The whole follicle is extracted and no tissue exists there for hair growth. Follicles are unique members of your scalp and they start to grow hair wherever they are transplanted. It sounds unfair first, but considering that no chemical or foreign matter is applied, you can see that it is fair enough. Thanks to this technique that you will have your own hair growing back as natural as it can be. That’s also why you cannot have unlimited hair transplantation operations, as you have a limited number of grafts on your donor area (don’t worry, this number is counted by thousands). Believe us that if it was possible, we would provide it as a method of hair transplant in Turkey as MCAN Health. It would also solve the problems mentioned in #2 and #4. Unfortunately, hair cloning is not available but a matter on which scientists are working on. The idea is not new at all. You must have heard of the stem cells. They are being used as the regenerative tissues for the body. But, hair and hair follicles are a different kind of tissues. Hair cloning aims to take the follicles from the donor area like a standard hair transplant. The next step is different as the extracted follicles will not be transplanted to the recipient area. They aim to take these follicles and clone them in the laboratory. After cloning, you will have an unlimited number of grafts. It means everyone will be eligible for hair transplant without any exceptions. If you have further questions, you can always contact us via phone, WhatsApp, filling the form or emailing us. 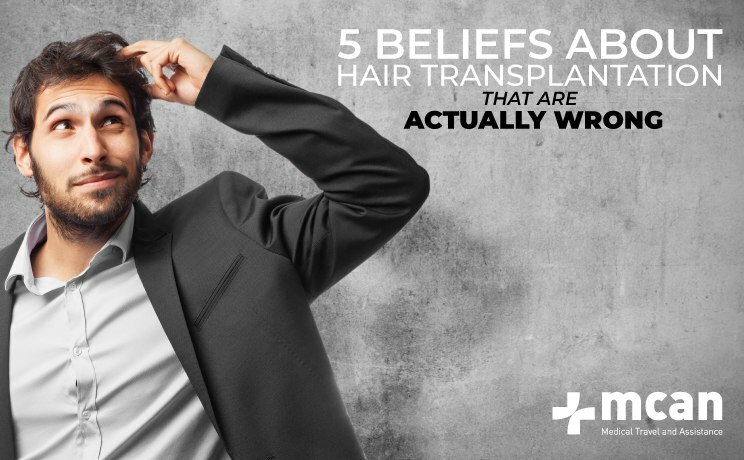 We hope that we could enlighten you about the false beliefs in hair transplantation operations!